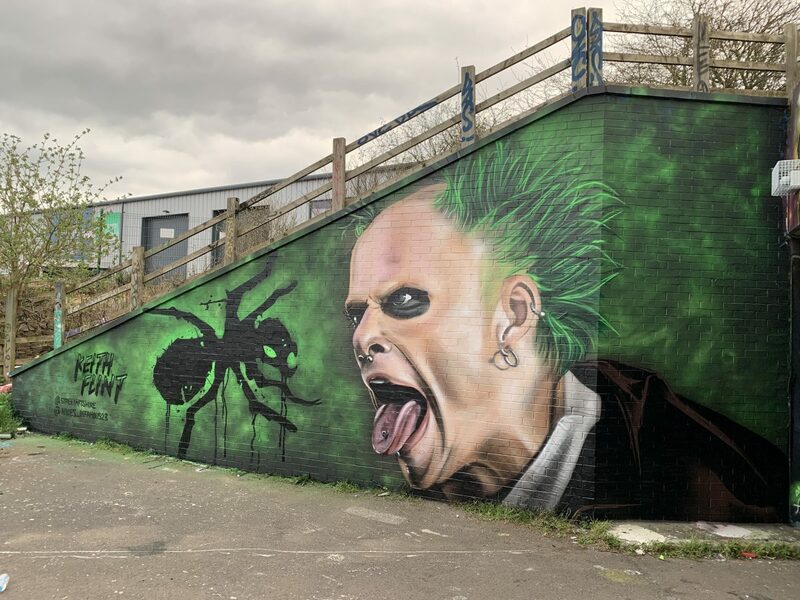 A professional street artist has created an incredible 20ft spray-painted mural of Keith Flint in tribute to the deceased Prodigy frontman. Nathan Murdock, 33, took two days to complete the work – measuring 20ft at its highest and 30ft across – using at least 20 different colours. 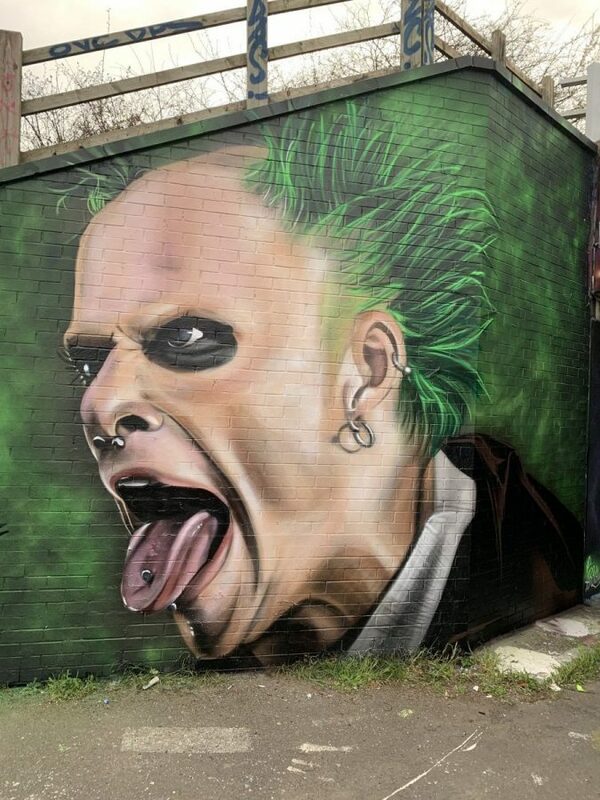 It features a striking image of the singer with his hair dyed green and in the double mohican style he famously wore in the video for the band’s 1996 hit single Firestarter. He also has his tongue sticking out and is wearing black eye shadow. 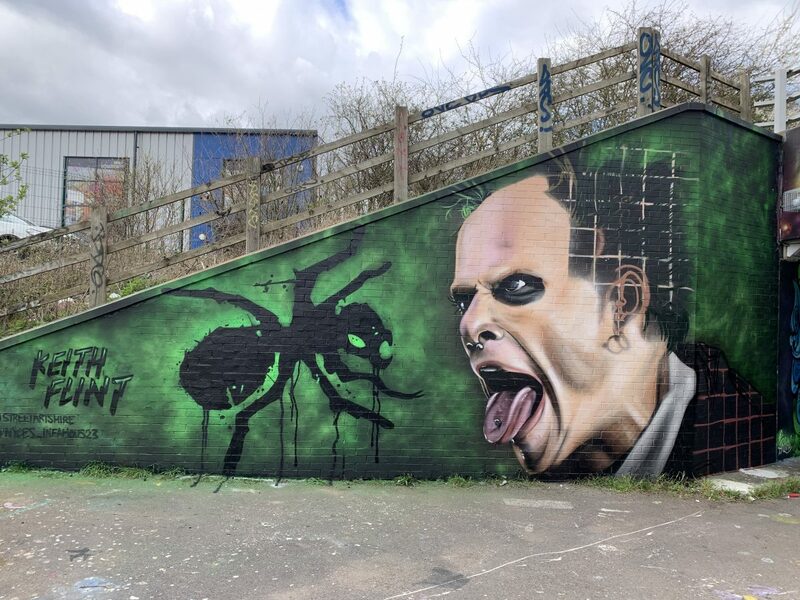 Prodigy fan Murdock decided to paint the wall art in his home town of Peterborough, Cambs., as a tribute to 49-year-old Flint, who was found hanged in his Essex home on March 4. Murdock, who last saw the band live in December, said: “Of all the famous people who’ve pasted away in recent years, this was the first time it really affected me. It actually hurt. 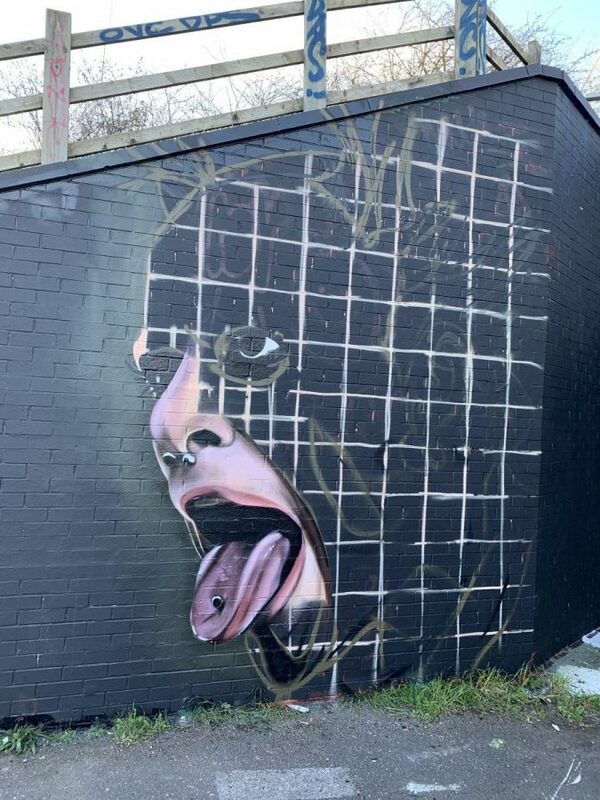 The artist, who works for Street Arts Hire Ltd, said he had got a huge response since posting an image of the mural online with people from all over the world contacting him. A picture of his work posted on Facebook has been shared almost 4,000 times.